Orange County took the Jefferson District team wrestling title, holding off runner-up Powhatan for the championship. The Hornets leaned stacked points with champions or runner-ups in nine different weight classes. David Stiegler won at 138, Taylor Jenkins won at 152 and Chance Bowers won at 160. Meanwhile, Nicky Benner at 145, K.J. Taylor at 132, Cale Carr at 113, Wyatt Mills at 106, Alex Burley at 195 and Truth Wilson at 220 earned runner-up finishes. Owen Grslick at 106, Ben Froschauer at 170 and Cameron Hornsby won titles for Louisa County to spearhead the Lions’ third-place finish. Zion Villines at 120, Anthony Ciotola at 126 and Austin Mills at 152 notched runner-up finishes. Albemarle finished fourth as a team, with Rafael Galvez winning at 113 and Donovan Berry winning at 220. The Patriots’ Zack Davis was the runner-up at 160, Nolan Pittsenberger was runner-up at 138 and Connor Smiley was the runner-up at 182. Fluvanna’ Ethan Vernatter was the runner-up at 170 pounds. Western Albemarle, who along with Monticello rested most of its wrestlers who’d qualified for regionals earlier this week, produced a champion in Joey Burch at 132 pounds. Powhatan’s second place finish came on the strength of five individual champions. Joseph McMillin won at 120, Sean Hall won at 126, Colby Cheatam won at 145 pounds, Jack Mundt won at 182 pounds and Jacob Moss won at 195 pounds. Jarret Tronge was the runner-up at 285 pounds. 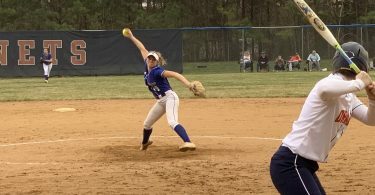 Western, Monticello and Fluvanna will compete in the Region 3C Tournament Saturday at Spotswood. Albemarle and Orange will compete at the Region 5D West tournament with Orange serving as host. Louisa County is competing at the Region 4B tournament on Friday. 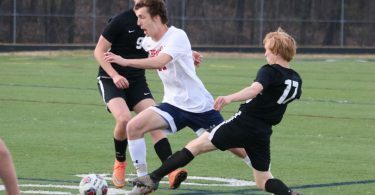 Charlottesville will compete at the Region 4D tournament at Amherst starting Friday.